Vacation house Black Forest for your dream vacation home? Are you searching for a vacation rental with sauna or for a vacation house from private owners in the Black Forest? Are you looking for some spa relaxation with Sauna, Whirlpool and a nice crackling fireplace? Whether you are looking for an exclusive Black Forest House, a historic housewith history or a luxury house with spa. You will find a small but fine selection of special holiday homes for family vacations or holidays with dog. but also a modern equipped group accommodation for your group vacation with 10 people or even 20 people. All cottages are built very personal and with much love for you in beautiful regions of the Black Forest and furnished according to our style. The cottages are located in the northern Black Forest and the Middle Black Forest: From Enzklösterle in Enztal close to Bad Wildbad, further south to the dam Nagoldtalsperre in Seewald and then to Freudenstadt until Lossburg. Then the Kinzigtal down to the brewery and monastery town Alpirsbach further down the valley in the Ortenau to Biberach im Kinzigtal. Dear Family Roth, wow! Your cottages are truly a great. 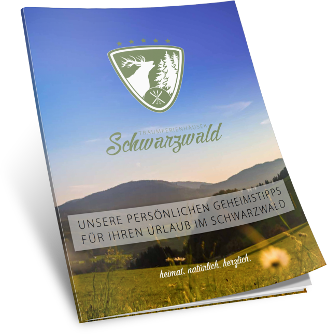 Now we are the third time with you and this time we have tried your new "cottage in the Black Forest 20 persons in Seewald", as I called it in the last call. Previously, we had always a Black Forest vacation home with a fireplace, but this "cottage" is really absolutely gorgeous: House and sauna plus a great hot tub and in total 330 m2 - present a real luxury holiday home in the Black Forest and we have "Cottage Schwarzwald 20 people" is somewhat strange expression for this ingenious luxury holiday home in the Black forest. See you next time! The holiday house in the Black Forest has a lot to offer. We spent with 7 adults and 4 chilren, in total 11 persons a great week at Luxure house Dieboldsberg.We had enough space due to the smart house set up! The facilities and equipment of the house and also the very uncomplicated booking processs we liked a lot. Also we enjoyed a lot the sauna, terrace with bbq and the high standard bath rooms. The vacation home is very modern and has all what you need for a real luxury holiday to relax. We can recommend this vacation villa a lot. The holiday in the vacation rental Black Forest was really a special dream - holiday! Actually, we were very skeptical to go on vacation in an apartment. But this house is really fantastic. We enjoyed the time in the totally good equipped Apartment. Sauna, jacuzzi, garden for the children. The whole location is really awesome. We were on our trip to Europe in the House with 7 people and we felt at home - a real wellness holiday home. 10 people or 11 people would also fit easily into the holiday home. We have enjoyed the Black Forest and its nature, the Cuckoo clocks and also the costumes very much appreciated. A wonderful area and a great house. Wow! What a vacation rental in the Black Forest! A real dream which you have established in your vacation rental for 12 persons at the Dieboldsberg. The best at the nice vacation appartment in the Black forest was the playing room, where our children played on the couch while we used the gorgeous sauna. We come from Israel and have spent nice holidays with our large family in the Black forest vacation rental. Dear Family Roth, your new vacation House is excellent. The new house Dieboldsberg is a real luxury - vacation home for groups. A super great 20 persons - 24 people Rental. And then this great sauna. perfect! We have rented both houses together. Black Forest Luxury vacation! We were in the Black Forest House Alpirsbach for 14 people in this beautiful, newly built house. With sauna (seating for 6), Jacuzzi, wonderful garden with playground ... Just great. The vacation house Freudenstadt (n. Former name of the house Fronwald) in the Black Forest is wonderful! It is a very pleasant holiday home for 15 persons. Our 8 children had a great time and a lot of space in the house to play. This exclusive house is situated in a very nice area in the Black Forest and has a great view to the Black Forest! Freudenstadt where our friends live is very close to it! It was a very nice stay. Beautiful fishing lakes and other waters in Baden-Württemberg in area of Freudenstadt, Calw, Rottweil, Offenburg and in Kinzig and Murg Valley we have put together. Your holiday home for skiing in the Black Forest offers top conditions for winter sports. On the Black Forest High Road or in Kaltenbronn skiing, cross-country skiing or just go just tobogganing and sleigh. Your vacation home lies in an ideal location right next to the forest. The Black forest house Enzklösterle, the Black forest Chalet in Loßburg and the historic vacation home Gerberhouse in Alpirsbach with its fenced garden. You like to go to the Sauna? In our vaction homes you find: nice indoor sauna with stonewall and stars heaven and also outdoor sauna and also a sauna Kota and a barrel sauna. Enjoy your sauna bath. A breath of luxury vacation desired? For us belongs therefore a modern and exclusive equipped vacation home with sauna and Whirlpool and the crackling fire in the vacation home with fireplace. It is not easy to find an exclusive vacation rental for 10 Persons. With 12 Persons it is getting even more difficult. In our houses this is different: Either 14 Persons or 16 Persons. Up to 30 Persons can have a nice accomodation. Looking for Black Forest cottage holidays? We offer cottage athmosphere without renouncing modern comfort. Our wooden cottage Fronwald and the Blackforest house Enzklösterle convince with their wooden construction. In Baden-Württemberg are the towns of Freiburg, Baden-Baden, Karlsruhe, Stuttgart, Europa-Park Rust, the Lake Constance with Constance, Lindau and Meersburg but also in France Straßbourg and Colmar in Alsace.